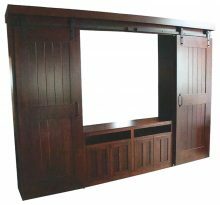 When you think of traditional Amish hardwood furniture, entertainment centers might not be the first thing to come to mind. For generations, Amish furniture has meant beautiful tables, chairs, hutches, bedroom sets, curio cabinets and dozens of other pieces and accents for every room of your home. 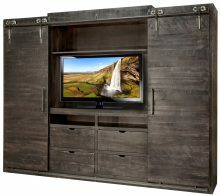 At AmishOutletStore.com we carry all of these, but we also carry a wide range of entertainment centers with bookcases and shelves. Bookcases and shelves are included for storing all of your books, DVDs, CDs and media or to display different objects and collectibles. Certain models have open shelves for quick, easy access, while others have glass doors to protect your belongings from dust. 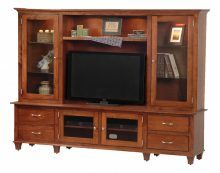 Sliding drawers are included in many of our entertainment centers to allow easy storage of small items like remote controls, cables and game controllers. 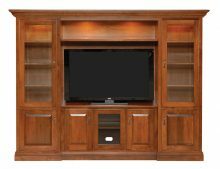 For highlighting your great collectibles and treasured possessions, we even carry entertainment centers with integrated lighting. These storage options are available on many of our different models, ranging from compact units for small spaces to wider, more spacious units for large living and family rooms. 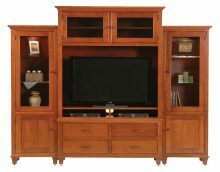 And since many of our entertainment centers are part of larger furniture collections, it’s easy to choose an entire matching set for your home. 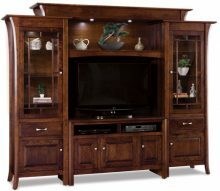 Now that you know how much choice you have in entertainment centers with shelves and bookcases here at AmishOutletStore.com, let us tell you about the other advantages of buying hardwood Amish furniture. 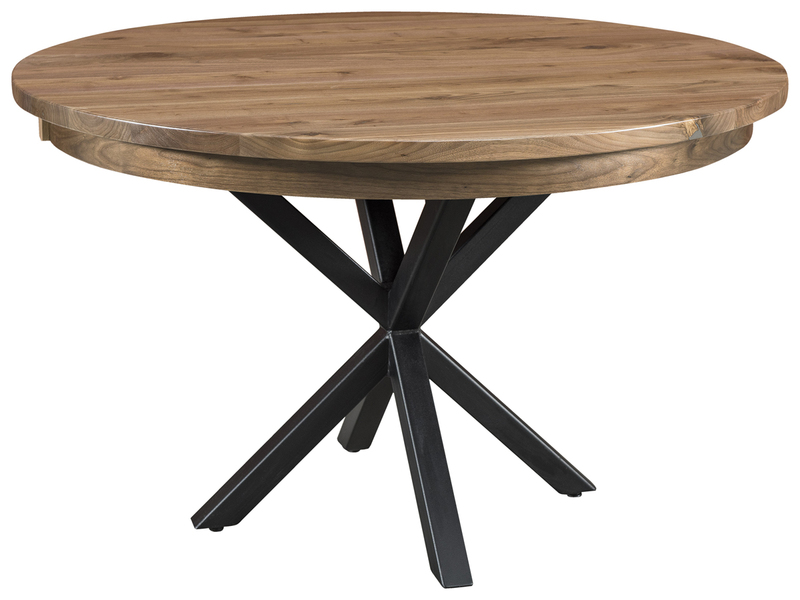 Built according to traditional Shaker and mission styles, Amish furniture combines top quality Northern kiln-dried hardwood and age-old Amish woodworking traditions to create beautiful, durable, timeless pieces of furniture that will last for generations. There’s a good chance you already know someone who has a piece of traditional Amish solid wood furniture. 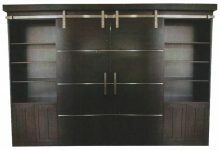 More than simple furniture, Amish furniture becomes treasured family heirlooms and is passed down from parent to child. 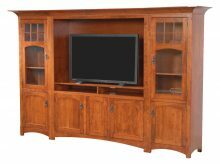 The quality construction and resistant finishes keep Amish furniture looking good for the long haul. The designs also go with any décor, from the most classic homesteads to modern, contemporary homes. That’s because you can customize your hardwood entertainment center with shelves by choosing the wood and stain to end up with the perfect piece for your home. 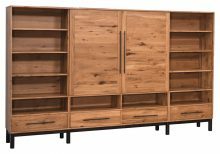 In just a few clicks you can select your entertainment center with bookcase and shelves and personalize it exactly the way you want. You can also benefit from up to 33% savings on your unit, as well as further savings on large orders. Contact us today if you want to know more or get started here on our site right now. Our Amish artisans will take your order and turn it into reality using all the care and know-how they have been using for generations to create their Amish hardwood treasures.